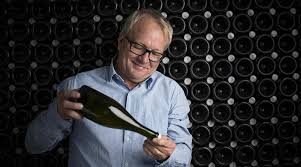 Anyone with a nose to the local wine industry will have heard industry pundits, propagandists and prophets implying that this country’s wines are undervalued. Which is nothing more than a euphemism hinting that local and international consumers should be paying bigger for South African wines, and producers should be charging more. In terms of ensuring sustainability of the economically stressed wine industry, I have nothing against this call. Especially as I firmly believe that this country is making some of the best wines in the world. What this call for higher prices has done, however, has led to a surge of South African wines for which one will have to skip a few botox treatments or classes in mindfulness if you want to afford a bottle or two. And we are talking between R1 000 and R5 000 a pop, thank you very much. Pricing wines in this rarified space is a tad risky. Anyone buying French, Spanish and Italian grog from one of the reputable importers, for example, will know that local labels priced in this range find themselves in a category where their ability to compete internationally will come under intense scrutiny. Unlike the space where one is paying, say, R200 for a bottle of Stellenbosch Cabernet Sauvignon and few nations can compare to South Africa in the quality-to-price ratio. 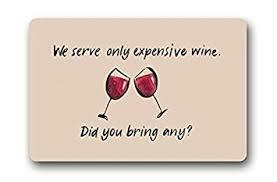 I don’t mind paying well for good wine, but do know that one has to tread carefully if you are looking for the kind of drinking quality that backs-up the big bucks. 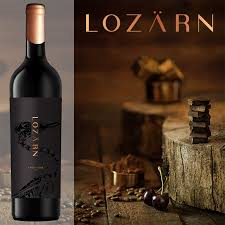 Lozärn is a new brand from Robertson, named after the German-Swiss way of writing the city of Lucerne, a location featuring in the history of the farm where the grapes for this wine are grown. With a price-tag nudging R500 I thought this newcomer to the South African wine scene was being a bit audacious. The fact, however, that this flagship Lozärn wine is the first in the country to be made from the Carménère grape stirred my conscientious sense of duty as a commentator on matters vinous and saw the maiden wine from the 2016 vintage being put under the screw-pull. The Carménère grape evolved in Bordeaux, but is today mainly grown in Chile. Long thought to be Merlot, it is known for an agreeable juiciness and fresh acidity, just a pity the neutrality never impressed me in the examples I have had in the past. But this wine from Lozärn is a revelation, both in terms of the manner in which this rare variety is expressed on South African terroir as well as the thrill of discovering a truly great addition to the seemingly tireless local wine scene. Coming in at 12.5% alcohol, this is an extremely elegant red wine with fine tannins, brisk red-berry flavours and an intriguing dry herbal note. Not vegetal or green, more like those wild herbs left to dry in the warm sun for a decadent, exotic note. The wine is shy and discreet on the nose, and like a fine red Burgundy it enters the mouth in a restrained way before sweeping all and sundry aside with a medley of splendid red wine flavours. The tastes of fruit, spice and flowers are gorgeous and refined, but it is the structure and mouthfeel of the wine that has made it, in my mind, an instant South African classic. A bit of advice is to decant the wine a few hours before serving as it is still tight in its youth, but the attention to detail will be justly awarded. The anti-Pinotage brigade will probably have a hernia when realising that some of South Africa’s priciest wines are made from the grape they so like to disparage, but their numbers are shrinking exactly because of this: some of our finest wines are Pinotage, and now would be a fine time for the naysayers to retreat. Farmers are planting Pinotage on sites conducive to bringing out the best in this variety, and wine makers are getting to grips with the complex chemistry and the demands it makes during the vinification process. Lanzerac was the first winery to release a Pinotage onto the market, back in 1959, so if you are going to fork out R850 for a bottle of wine made from South Africa’s home-grown red variety chances are this is a good bet. And one the Lanzerac Pionier Pinotage 2015 is, proving that this grape can provide one of the world-class great local wines alluded to early on. The vineyards lie to the gateway of Stellenbosch’s magnificent Jonkershoek Valley, looking out towards Cape Town and False Bay from a cool height of 400m. In the winery, cellar master Wynand Lategan allows the juice to ferment with natural yeasts, after which the wine is stuck away in new and 2nd fill French oak barrels for 21 months. The Pionier bearing the wine’s name is Abraham Izak Perold, the brilliant oenologist professor who created Pinotage in 1925 by crossing the Pinot Noir and Hermitage (Cinsaut) varieties. And Perold’s resting soul will be stirring each time a bottle of this incredible wine is opened. Inky and purple in the glass, the wine exudes an intoxicating aroma of mulberries and dark chocolate, with a bit of fynbos to walk on the wild-side with. The presence in the mouth is heady and luxurious: dense black fruit, dried fig and just the slightest hint of savouriness. Through this opulence, however, runs a line of invigorating freshness, making the wine alive and sensual. With 2015 already going down as one of the finest South African vintages in decades, this is the one that will make the Lanzerac Pionier Pinotage money well spent as the wine will age to further greatness over the next decade or two. Pieter Ferreira, the Master of Cape Classique. Ending on a really fresh note, money on good sparkling wine is money well spent. Champagne is obviously the reference here, but local Méthode Cap Classique has been presenting excellence for years now. Some wines in the same league as revered marques from France. 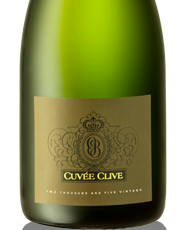 Graham Beck’s Cuvée Clive is one, and those baulking at spending R700 for South African fizz will truly see the light after experiencing this wine. Chardonnay and Pinot Noir makes the base wine, after which this lives on the lees for 60 months. Here the fine bubbles are born – 49 million in each bottle, to be exact – as well as packing layer-upon-layer of complexity. The result is akin to what a new-baby must experience upon taking its first breath. A foaming, cresting wave crashes through the mouth with bracing flavours of citrus and green apple followed by those characteristic notes of brioche and crushed almond. The luxurious creaminess on the palate rounds off a fantastic wine worthy of far more admiration and respect that the price-tag alone commands. A master-class by Pieter Ferreira. Lanzerac didn’t even have any Pinotage vines in 1959 and there was no varietal Pinotage released until 1961. That was made by Bellevue and released by Stellenbosch Farmers Winery. Dagbreek also made a Carménère from the 2016 vintage (named Carma), albeit in a different style. It would be interesting to know where the fruit for the Lozärn comes from, as there’s precious few Carménère vineyards in South Africa. Hi Kwis. The grapes are from a vineyard between Robertson and Bonnievale.